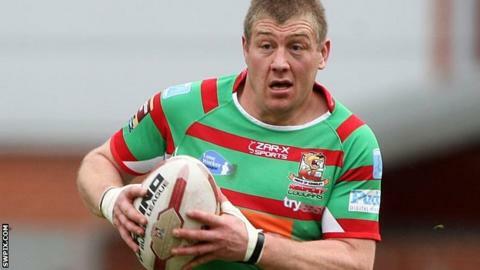 Keighley player-coach Paul March has been given a two-month stadium ban by the Rugby Football League. The 34-year-old was found guilty of improper conduct and breaching the game's respect policy following comments he made to the match referee after the defeat by Leigh on 9 March. The former Wakefield and Huddersfield player was serving a four-match playing ban at the time of the offence. He is banned from entering a stadium Keighley are playing in until 8 July. The suspension means he will not be present for the Championship side's Challenge Cup quarter-final tie against Widnes Vikings next month. March was sacked as coach of York City Knights in July 2009 after breaching club discipline during a function at a Leeds Rhinos match. Keighley are currently seventh in the Championship having won four and lost five of their opening nine games.